C-Class stretched by 80 mm for Chinese market. The Chinese market is awash with long-wheelbase variants of luxury sedans but that hasn’t stopped Mercedes from throwing another model into the mix with the reveal of the C-Class L at the 2014 Beijing Motor Show. 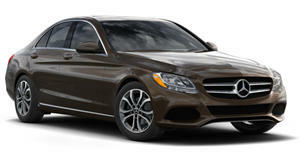 The C Class is a car the Chinese deem prestigious, and as such is more often than not used as a chauffeured limousine. Hence the need for extra rear seat space and additional backseat features. In creating the C-Class L, Mercedes has added 80 mm to the wheelbase of the 2015 C Sedan – all of which has been added to the rear-seat space. Passengers here can adjust the front passenger seat to free up extra legroom, the seat bench is an extra inch bigger for added support, there are longer doors for ease of entry and egress, while privacy glass keeps rear passengers shielded from public glare. The C-Class L comes with the standard suite of powerplants, with a range of 156 to 367 horsepower on tap, as well as the standard in-car entertainment and safety features with a touchpad that recognizes Chinese characters. The C-Class L will be built and sold exclusively in China.